You could easily spend a day with the family here at the Australian Centre for the Moving Image looking at their superb free attractions. ........Here you can watch thousands of hours of footage from the last century of film and television. ........You can choose what you want to see but there's a big range of preselected material which would take months to see anyway. I chose footage of Melbourne from the 1890's, 1935 and 1958. It's certainly changed a bit in Melbourne since then! .........This would probably be a good idea as it's an enormous exhibition and I didn't know where to start when I was there. I didn't find out about the tour till after I had left!! 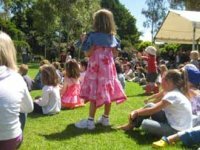 .........You'll find they do regular free films for all age groups and hold some free interactive workshops for the kids too. 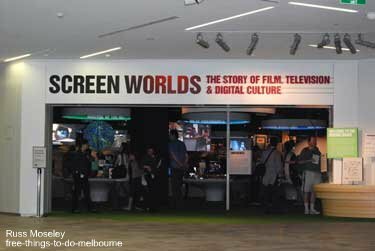 If you have some serious free time on your hands or some kids to entertain then the Australian Centre for the Moving Image (ACMI) is the place for you! 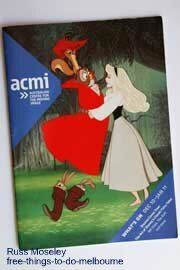 Click on ACMI to go to their website. 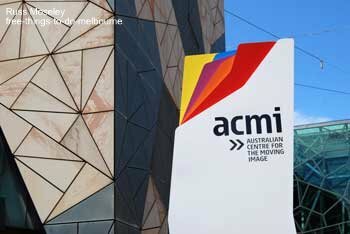 The ACMI is located in Federation Square and it's open from 10am - 6pm daily. See where it is on the map below.